As a UX researcher in Tyler Tech’s Enterprise UX group, Jay works across the company’s divisions and product domains that comprehend land development, citizen engagement, online dispute resolution, and human-capital management. He specializes in facilitating the design of product strategies that differentiate on and leverage user experience. 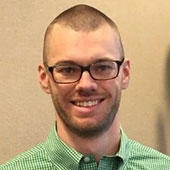 Jay holds an MS in Human Factors in Information Design from Bentley University and a BA in Economics from Bowdoin College. Connect with Jay on LinkedIn.